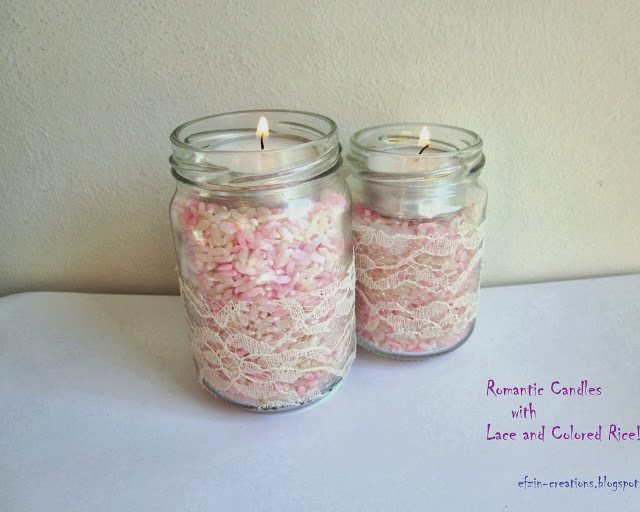 DIY – Romantic Candles with Lace and Colored Rice!!! 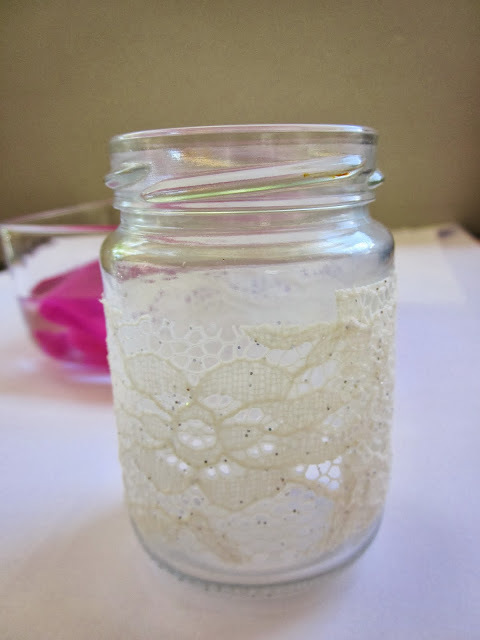 It was about time to post another easy tutorial and I have to say that this one is one of my favorites. 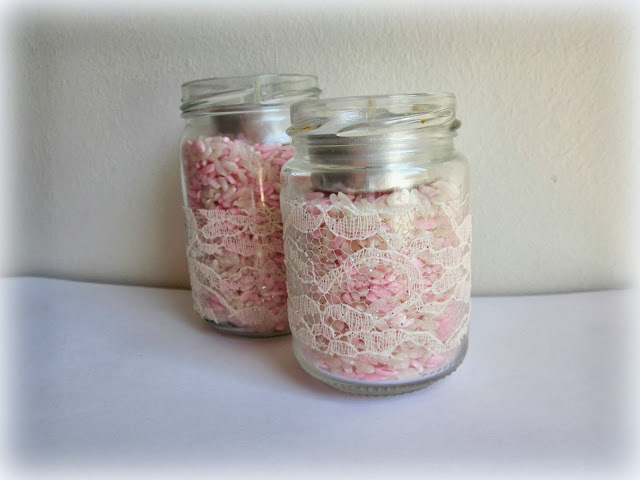 Create Romantic Candles with lace Band and in order to add more color, just fill them with handmade colored rice. 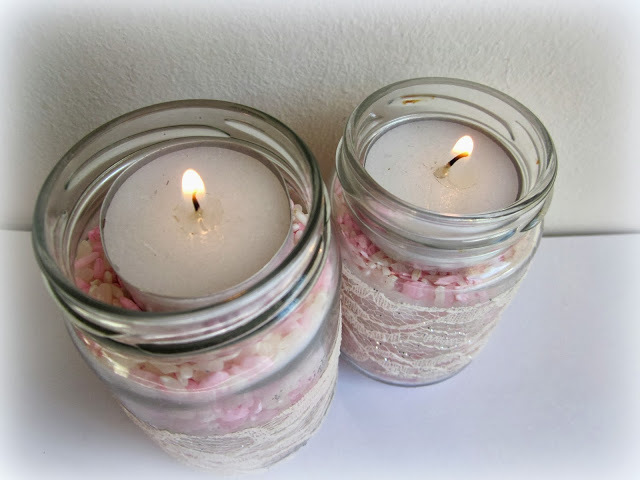 A great creation perfect for a romantic dinner, for your fireplace or even for a unique party decor. A small bottle or a small glass container like the one we use for marmalade. First of all use a the corrugated paper in a container with water and leave it for about 5mins. In another vessel add little of the white glow and mix it with the stardust. 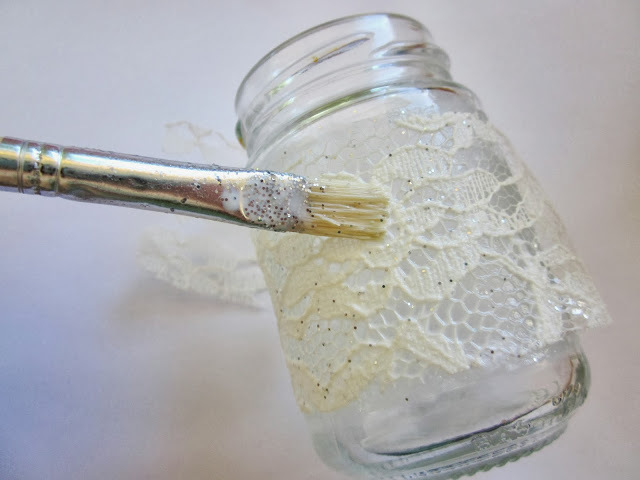 The mixture will be used for glowing the lace band on the glass vessel and the stardust will give it a beautiful sparkle when it will dry. 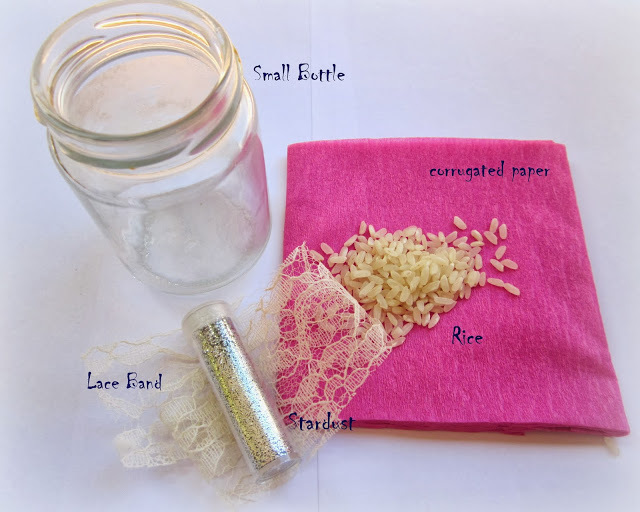 Remove the paper from the water and add the rice, but not all of it. You can use the half of it and keep the rest in its white color. 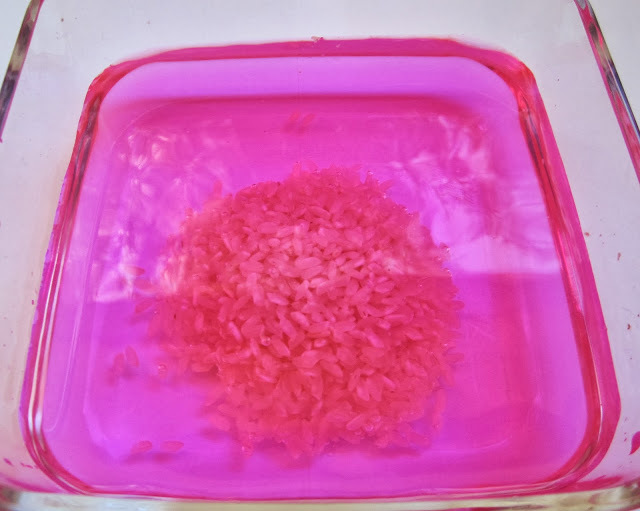 Add the rice in the vessel with the colored water and keep it there for about 5-10mins, depending how much you want your rice to have a bright color or not. 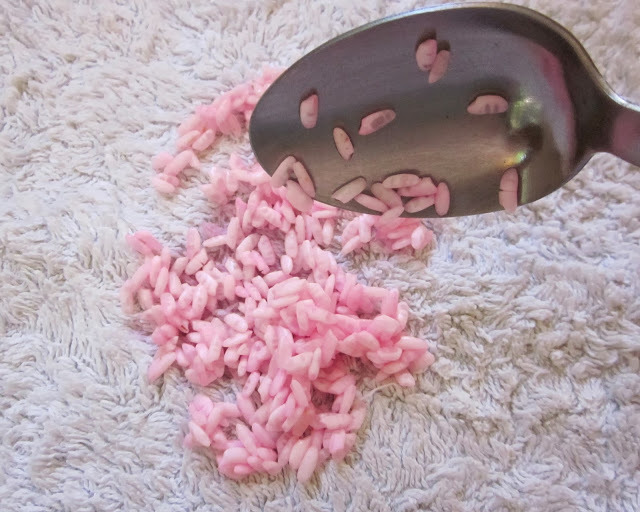 Remove the rice from the water and spread it on a tower and let it dry. 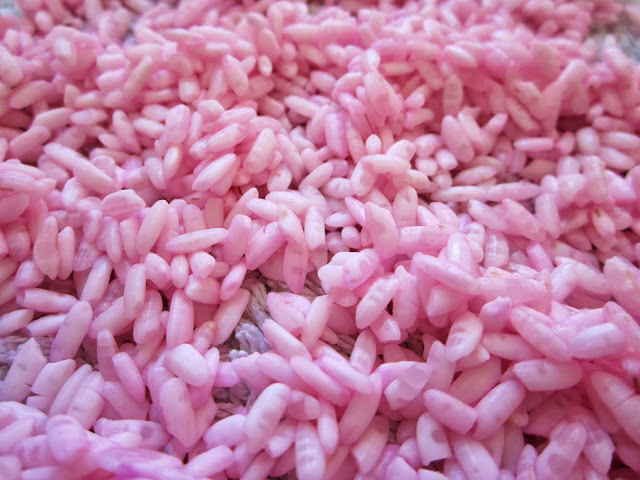 Your rice is ready to mix it with the rest of the white rice and the result is really beautiful. 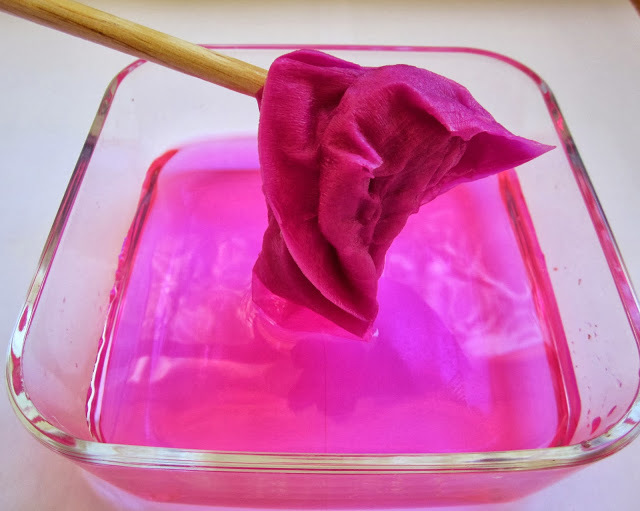 I use this trick on my wedding when I was preparing the rice that we use in the traditional Greek wedding, but I have corored it orange and not pink. 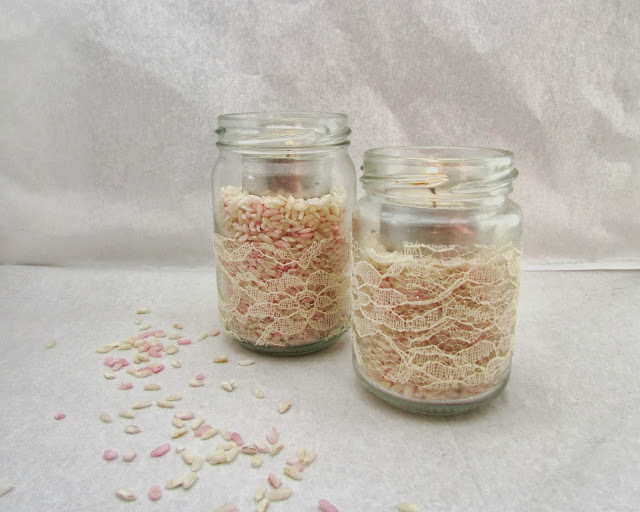 Put the dried rice in the glass vessel and add a small candle! Your creation is ready!!! Isn’t it beautiful and cute???? Εύκολο και όμορφο αποτέλεσμα! Θα το δοκιμάσω σίγουρα! ειδικα το ρυζακι βοηθαει σε πολλες κατασκευες! ευχαριστω για το σχολιο!